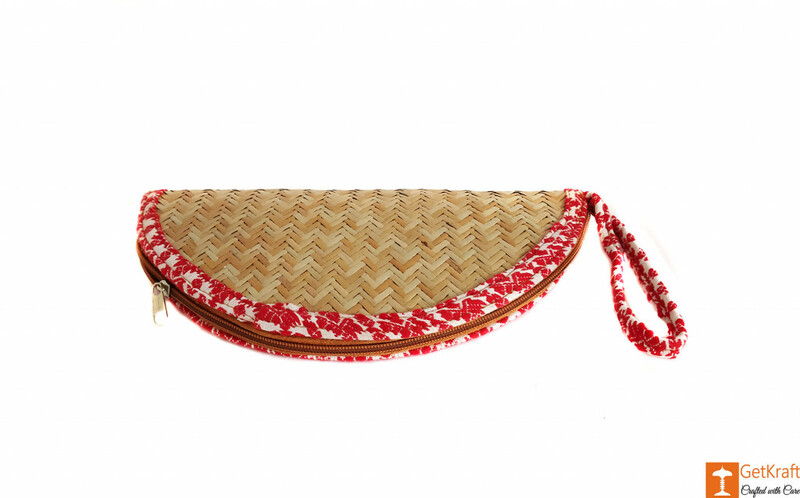 This unique one of a kind Clutch is manufactured from Sitalpati. Sitalpati is a material extracted from cane and has a natural cool feel because of the microfibers. 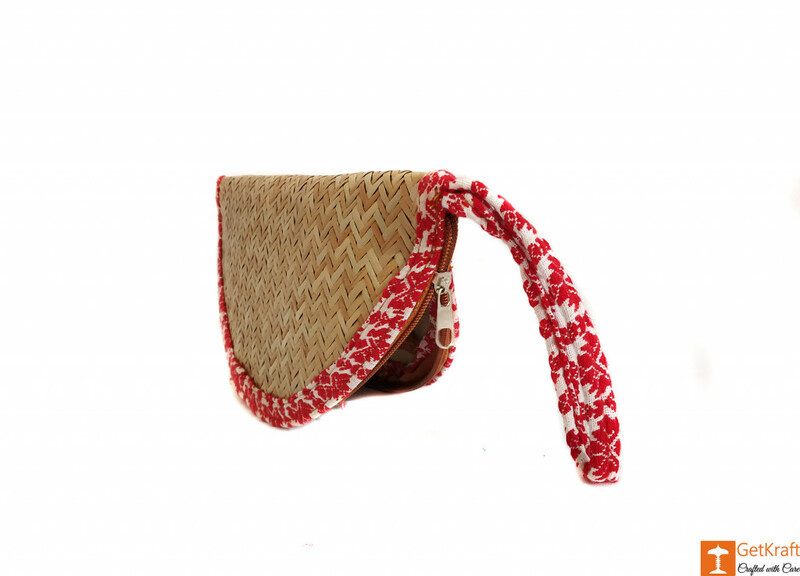 The design of the Clutch is very versatile and goes with any of your casual outfits. The Clutch has a compartment inside. 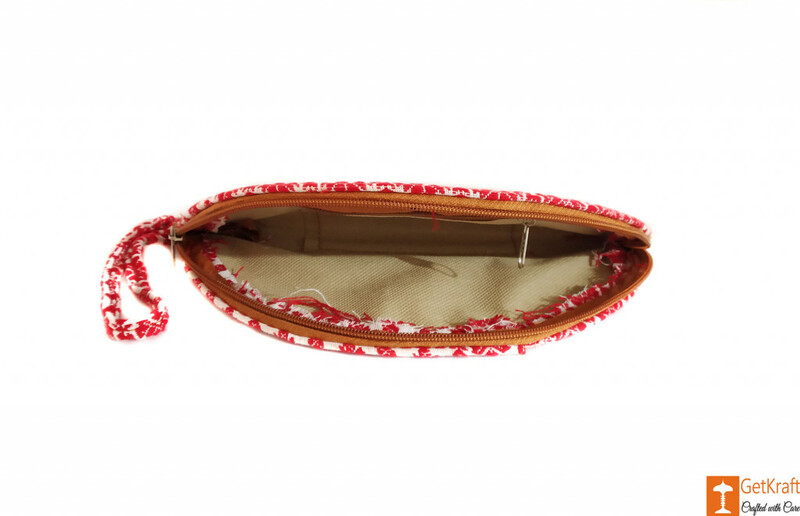 It has ample space for your keys, money, cards, and other smaller essentials. The surface is made of Sitalpati. 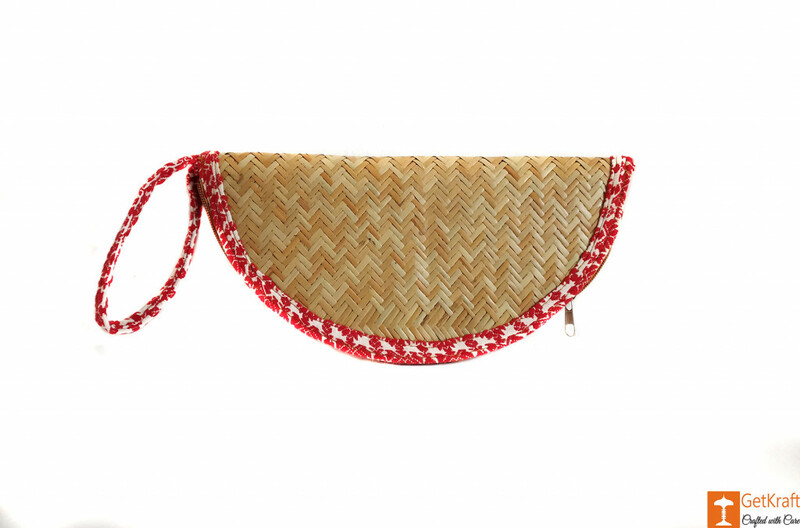 The border and the cotton hook of the clutch is embroidered in red and white, almost similar to a Gamosa's (Traditional assamese cloth)pattern.